I guess time flies when you’re having fun! May, where did you go! ?… You brought the end of preschool and with it an excited heart that awaits the start of kindergarten… que mommy tears! We spent all month in swim lessons, so we are now ready for summer and official pool season! We were blessed with family in town and some long overdue family fun! 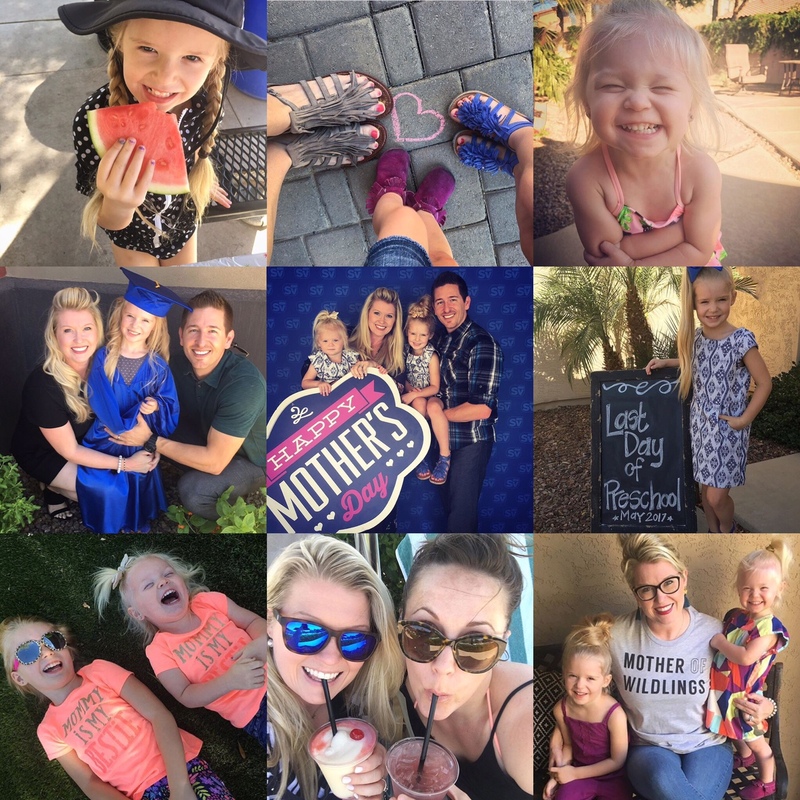 And of course, who can forget Mother’s Day… I was spoiled by my loves. I even got to break away for a mini staycation with my BFF for some much needed kid-free girl time, whoop-whoop! As I look back on all of the fun times and memories that were made, I’m realizing that May 2017 completely exceeded my expectations! So cute! I can’t imagine how hot it must get there in Arizona! We’re in North GA now and it gets SO humid here. Yes, AZ is toasty during the summer months. 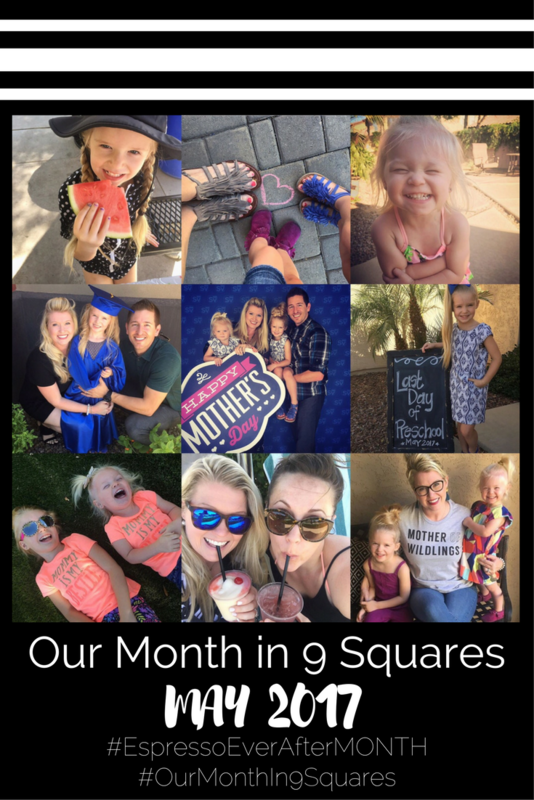 I am so glad you like my monthly 9 square posts, of course you can start your own. I am excited to see what you call yours.